From the Middle Ages onwards, writers, artists and composers became self-consciously aware of the vast potential for external references to enrich their works. By evoking canonical texts and their producers from the distant or more recent past, authors demonstrated their respect for tradition while showcasing their own merits. In so doing they also manipulated the memory of their readers. The essays in this second volume cover a range of topics relevant to medieval Europe and embrace sacred and secular music, historiography, liturgical and biblical studies, sermons and preaching, the architecture of funerary chapels and the role of tombs in literature. As such, each essay explores the themes of the book’s title using a particular body of works from the late Middle Ages or early Renaissance. The book as a whole offers a rich cross-disciplinary discussion of the material in question, with the authors engaging fruitfully with each other’s approaches. The strong line-up includes scholars from the UK, the USA and continental Europe. Yolanda Plumley is Professor of History at University of Exeter. Her background is in musicology, with a strongly interdisciplinary approach. 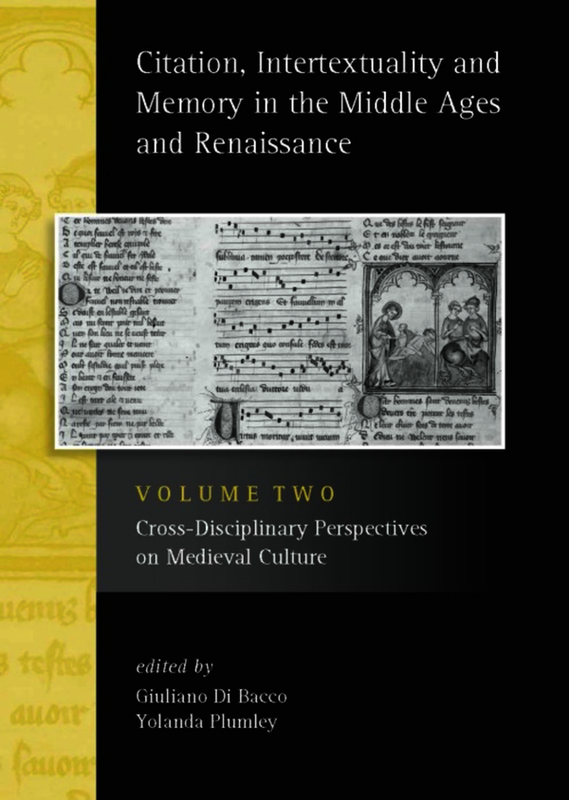 Her study of the late medieval musical repertory is allied with an exploration of the literary and cultural production of the period and its historical context. Research to date has focussed particularly on French songs and lyrics of the fourteenth and early fifteenth centuries and on the culture that produced them. Publications have mainly concerned music, musicians, and poet-composers active at the courts of the Valois and of the Papal court in Avignon (c1320-c1420), in particular Guillaume de Machaut and his successors of the so-called Ars subtilior. Yolanda Plumley is Director of the Centre for Medieval Studies at the University of Exeter and Reader in Medieval Music and Culture. Giuliano Di Bacco is Research Fellow in Medieval Studies at the University of Exeter.